Ryouhei Arisu is a high school student with no ambitions and just wants to escape from what he feels is a meaningless reality. 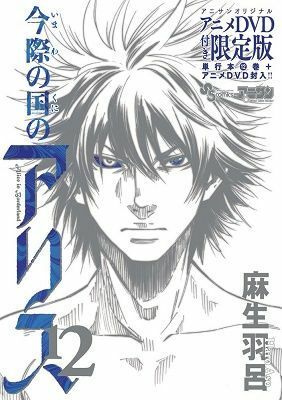 One night when he is with his two friends Daikichi Karube and Chouta Segawa, they see an abnormally large firework shoot into the sky, an event which signals a permanent change in their lives. Blinded by the incredibly bright explosion, the three find themselves transported to what is known as the Borderland. The only inhabitants of this world are participants of a deadly game where specific tasks must be accomplished if they wish to survive. As the three begin playing to determine how they can get back home, Ryouhei finds himself feeling alive for the very first time in his life.